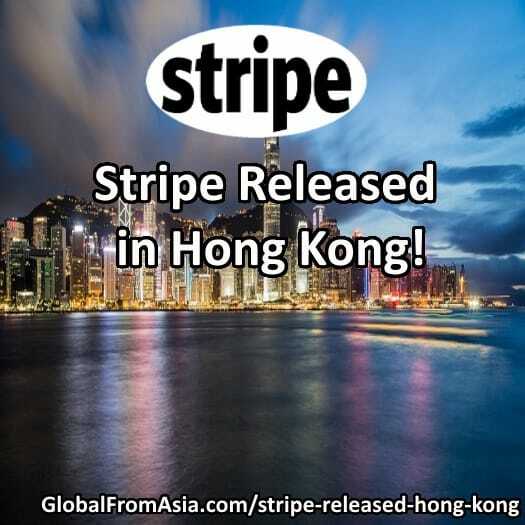 Stripe Released in Hong Kong! 香港, 你好！We're now sending out invites for our Hong Kong private beta. You can sign up for one at https://t.co/7au2LXQW6d. ?? We at Global From Asia have been watching this over the years, with our podcast a couple years ago begging Stripe to come, and then with reports that they went to Singapore first. So now we feel our job here is a bit complete. We will soon add them to our merchant account comparison list once they come out of private beta in Hong Kong. Basically it means they can invite who they feel like inviting for now. You can get on their waiting list here and they may send you an invitation. Not sure how they choose who to invite, but a few people have gotten it so far. While you may not be a lucky one to get a private invite, at least there is good chances they will come out of private beta soon and the public can apply. Have an Invite to Stripe Hong Kong? Let Us Know! So a short announcement today. A few have told us they got some invites – how about you? If so, would be great to hear in the comment section below and share our experiences. As always, lets help each other improve the Hog Kong and Asia business community! Best of luck to all. Seriously cannot wait anymore! Thank you so much for sharing guys! Brilliant! Thanks for the tip Michael, will it work if I send an email to them? Cool, just sent you an email. Cheers! Got some intel. I contacted them on twitter. They are giving BETA on use case. I have been using stripe for about 4 years in US still they won’t budge. So, if you guys have applied for it have patience. If you are in rush then contact them on [email protected] give your website and explain what you do. Sending them company documents won’t hurt either. Will update here when I hear back about my website. thanks for the tip Siva! I have a few people who got access and are testing it out – will see if they can share here. I’m also waiting – WTF! Hi. I got mine invite just now. So the workout that i gave above works perfectly and they will contact you if you send them email and explain what you are doing. For me it took about 18hrs after sending email. So why do people use Hong Kong for trading anyway?